Westmont resident Craig Grember was recently recognized by the Village of Westmont for his 35 years of service to the community on the Police Pension Board. Grember was appointed to the board in 1980, was elected to the position of President in 1981, and served in this capacity until his retirement in May 2015. During Grember’s tenure, the pension fund grew from less than $1 million to its current portfolio of over $26 million. 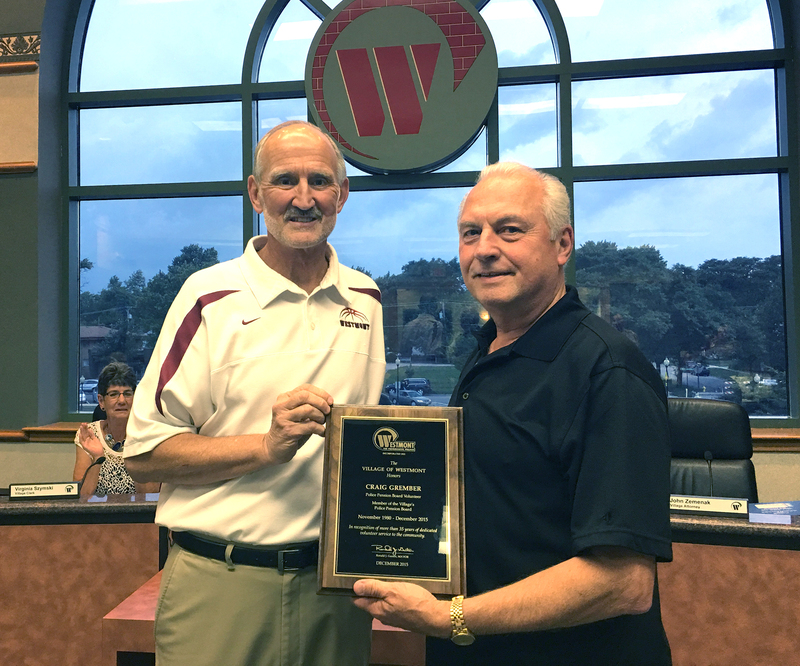 The Village of Westmont thanks Craig for his many years of service to the community.